The ever-evolving nature of accountant and emphasis on professional accountability means that all busness professionals need to ensure they are up-to-date with the latest developments. 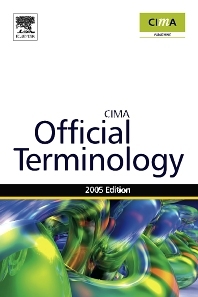 This latest revision of CIMA's Official Terminology addresses this need defining relevant terms used in today's business environment. This book is a concise dictionary of the most important terms and definitions that you are likely to encounter. All the revisions in this extensively updated edition are based on the experiences of real management accountants, guaranteeing that each term accurately reflects what is happening in today's business world.